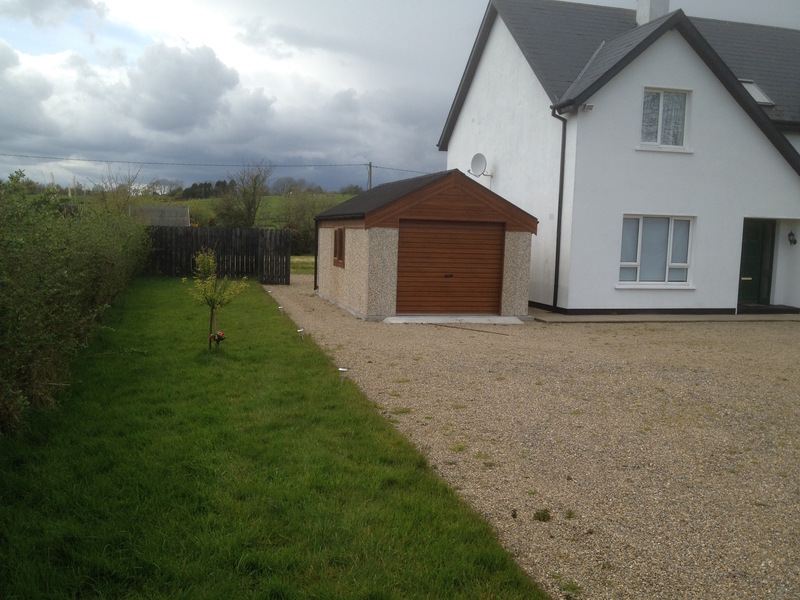 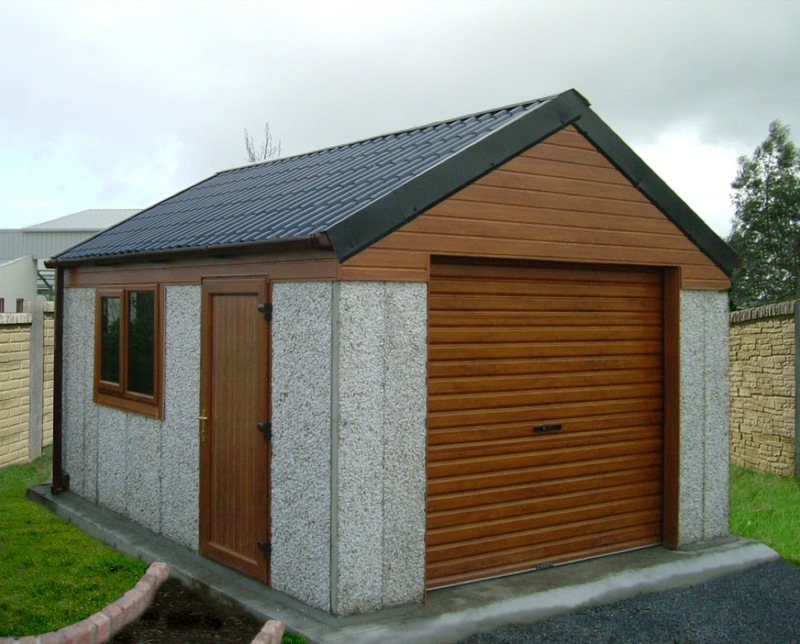 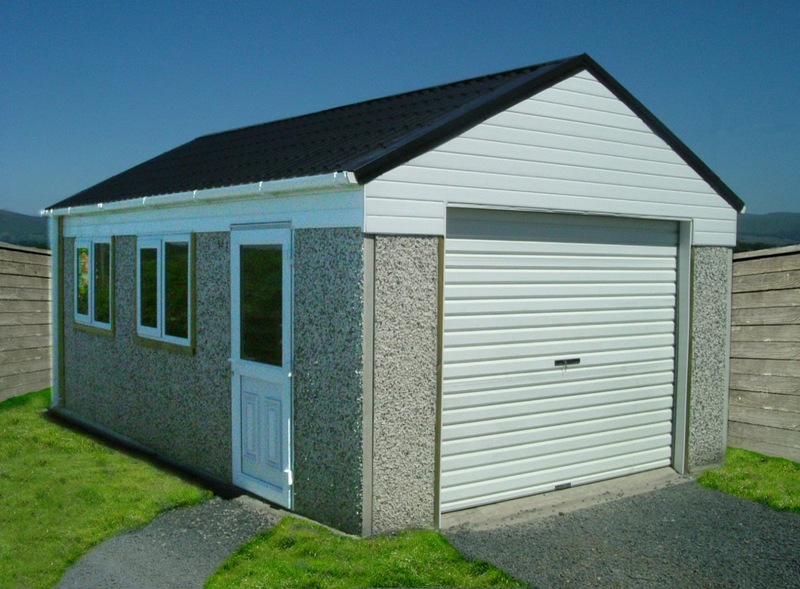 ShedWorld Wexford offers the highest quality pre-cast concrete buildings available in Ireland today. 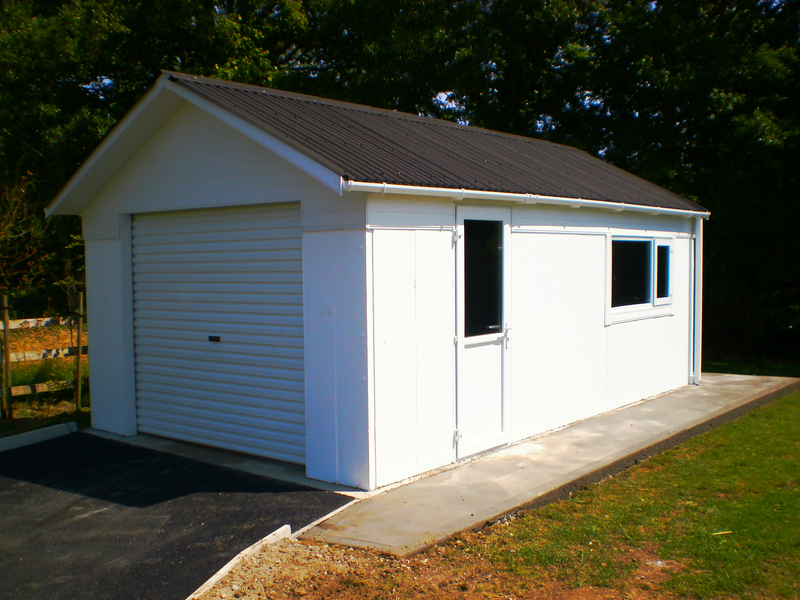 Our concrete buildings are ideal as storage solutions, hobby houses, an extra bedroom, or for a home office. 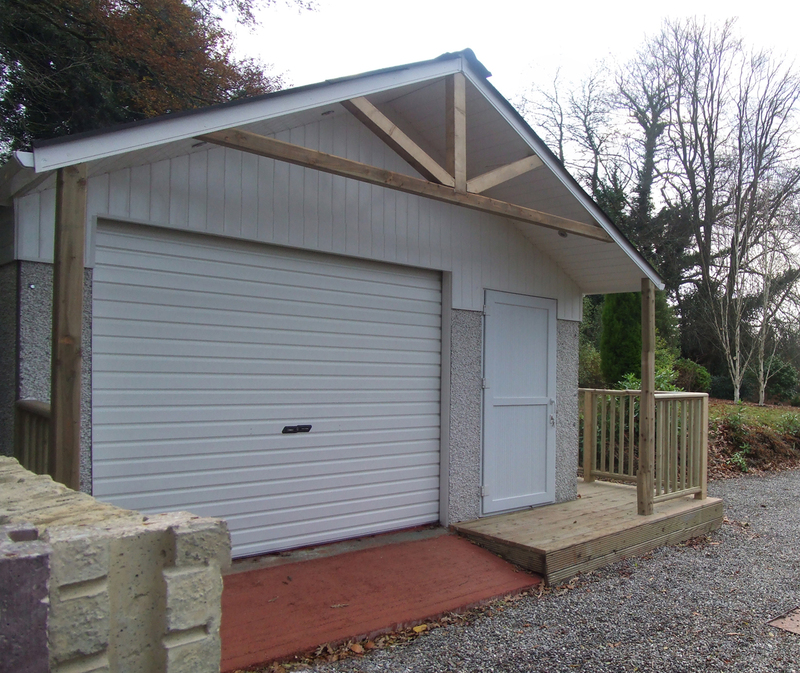 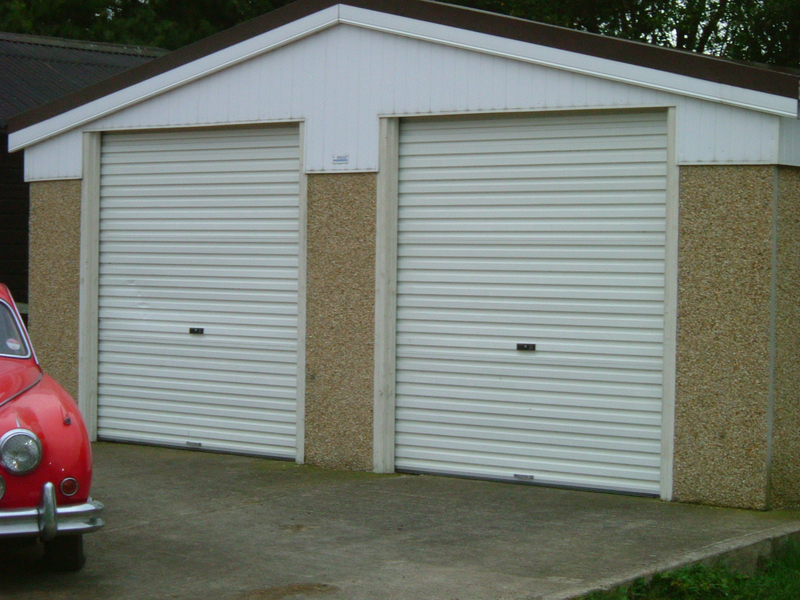 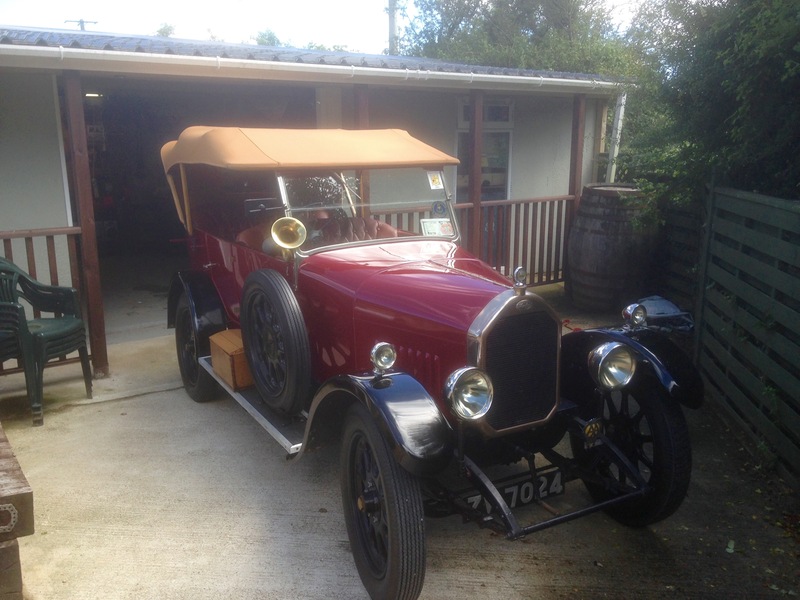 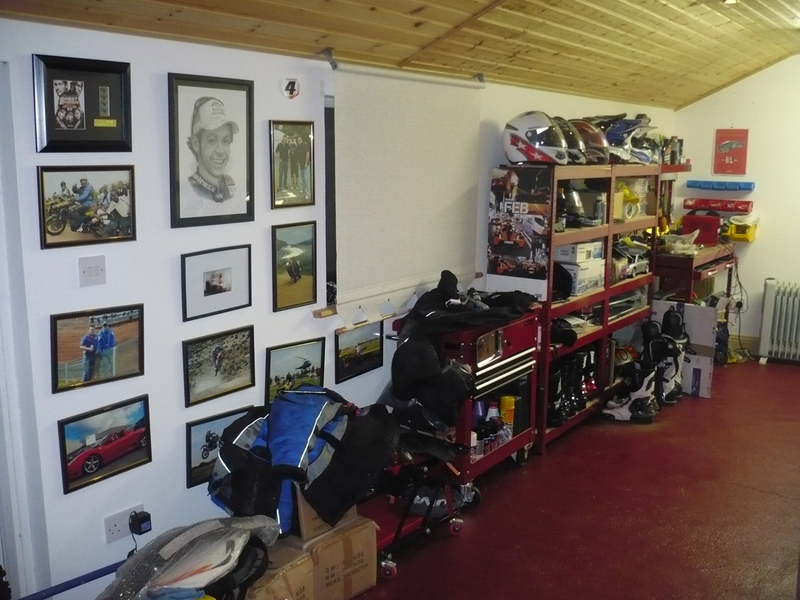 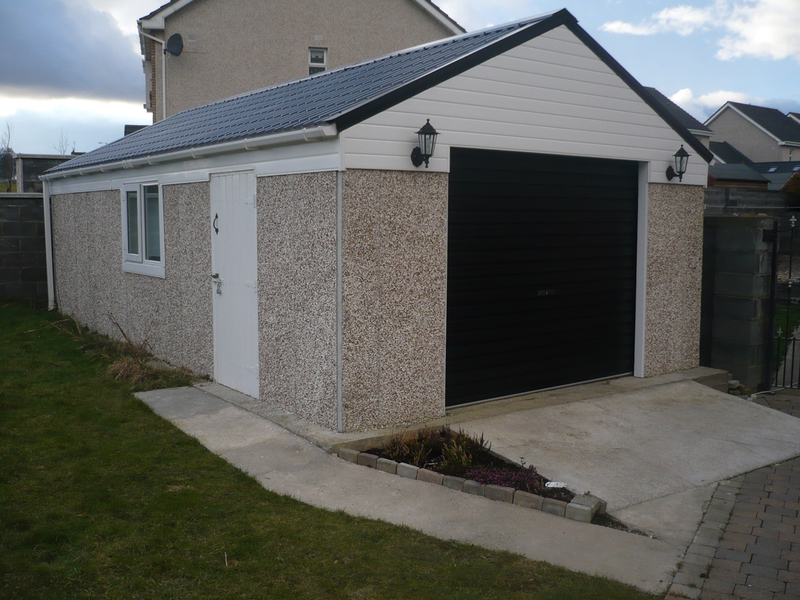 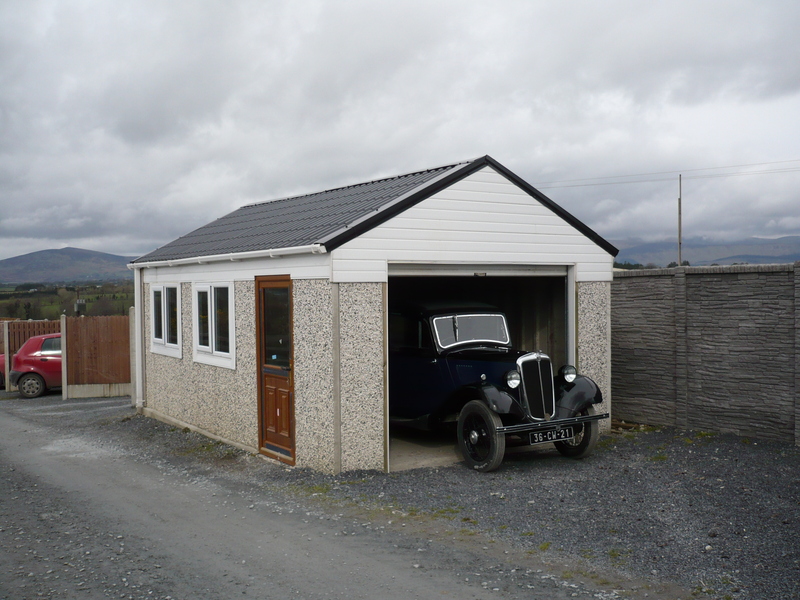 With the addition of an up and over roller door, our concrete buildings are transformed into the perfect garage at a fraction of the cost that would normally be involved with building such a structure. 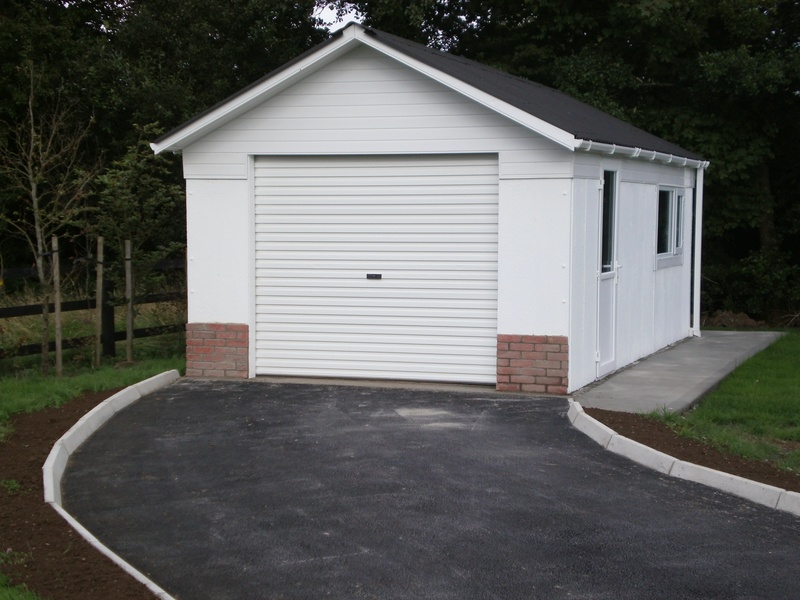 All of our concrete products are manufactured to exacting standards and are guaranteed to exceed current EU quality control regulations. 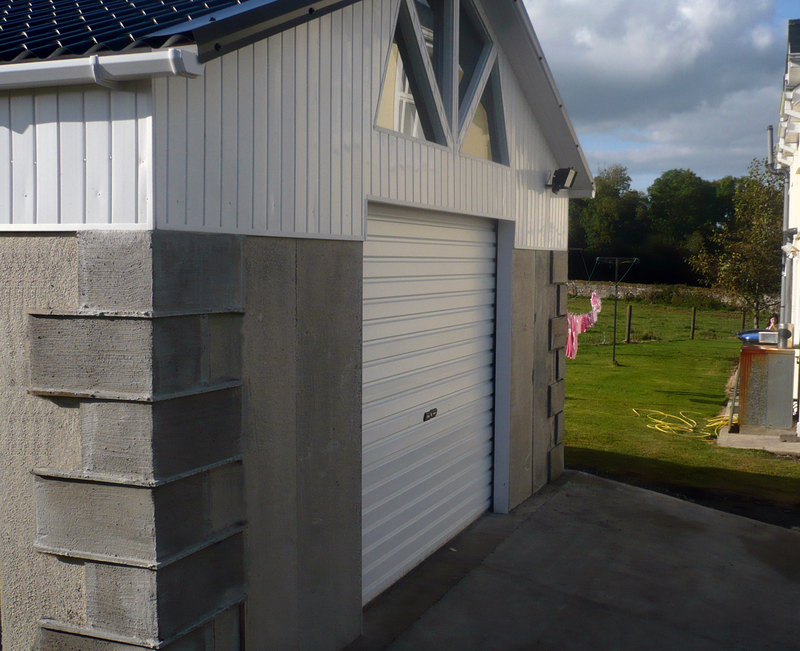 The pre-cast sections of our concrete buildings bolt together to form the walls of the building without mortar, vastly reducing the time and labour needed for construction when compared to standard, block buildings. 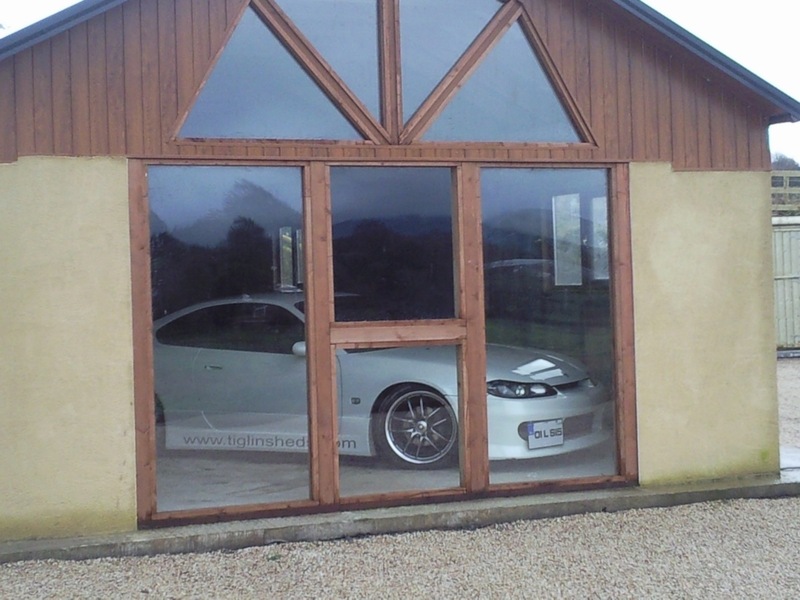 Small details can make a big difference! 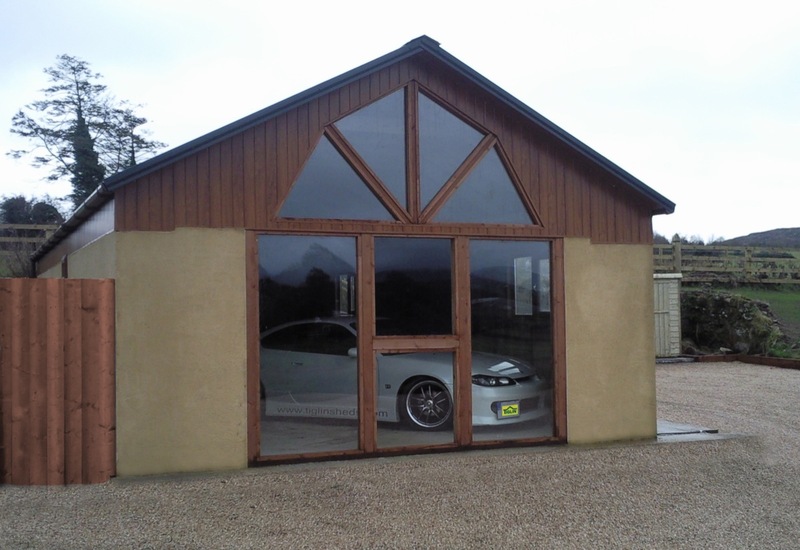 Whether it be chamfered, faux quoin stones on the corners of your shed, large over door feature windows, an extended awning to the front of your building, or elegant recessed downlighters above the door, ShedWorld can provide you with that little extra touch to set your building off to a tee. 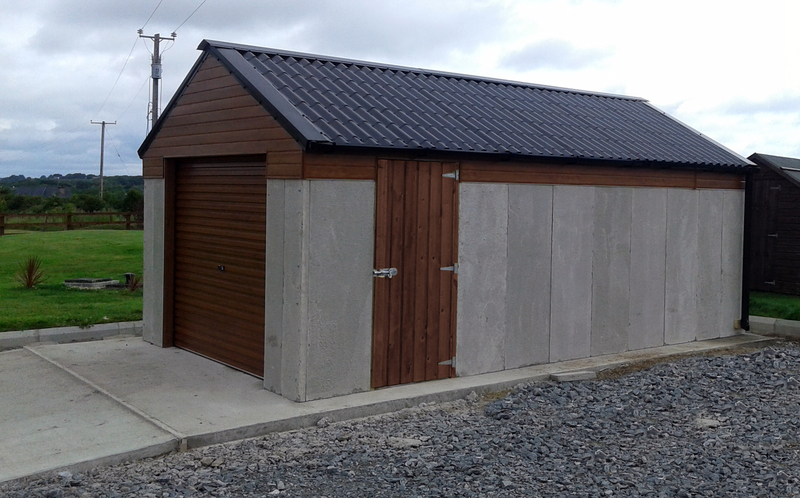 ShedWorld's pre-cast buildings are comprised of pre-cast concrete panels, manufactured to all current EN standards and bolted together** with synthetic foam tape sealant to ensure an effective weather barrier. 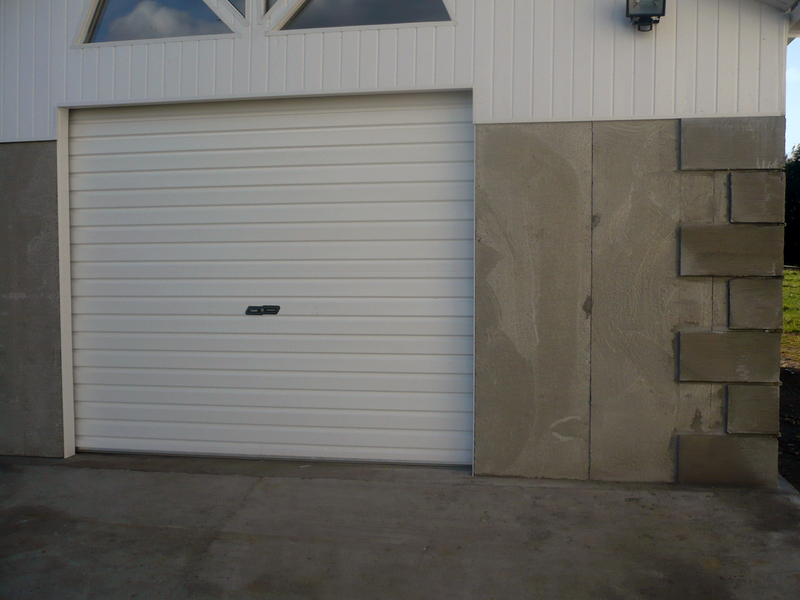 Our concrete panels are cast in a variety of sizes, 6ft approx (1850mm) or 7ft approx (2100mm) in height and 1ft, 18", 2ft (300mm, 450mm or 600mm) in width. 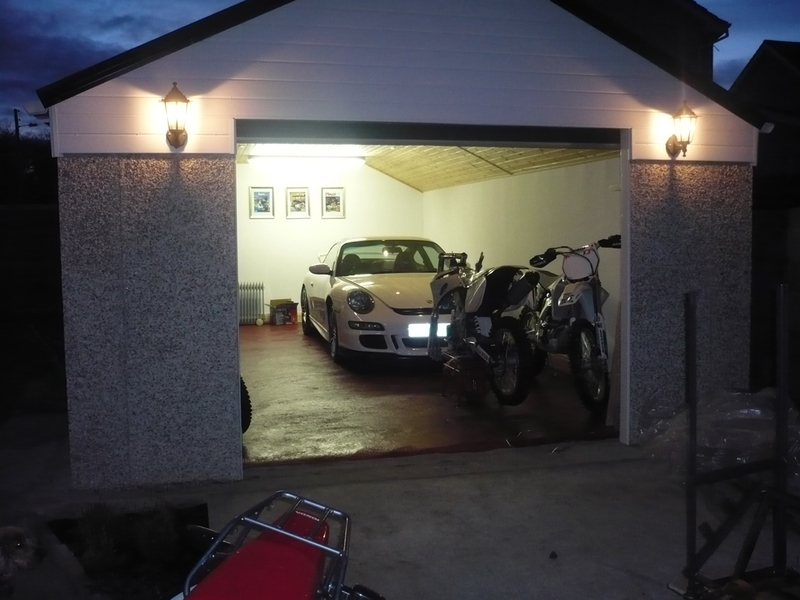 Full electrical and plumbing services can be arranged if needed, subject to availability on site. 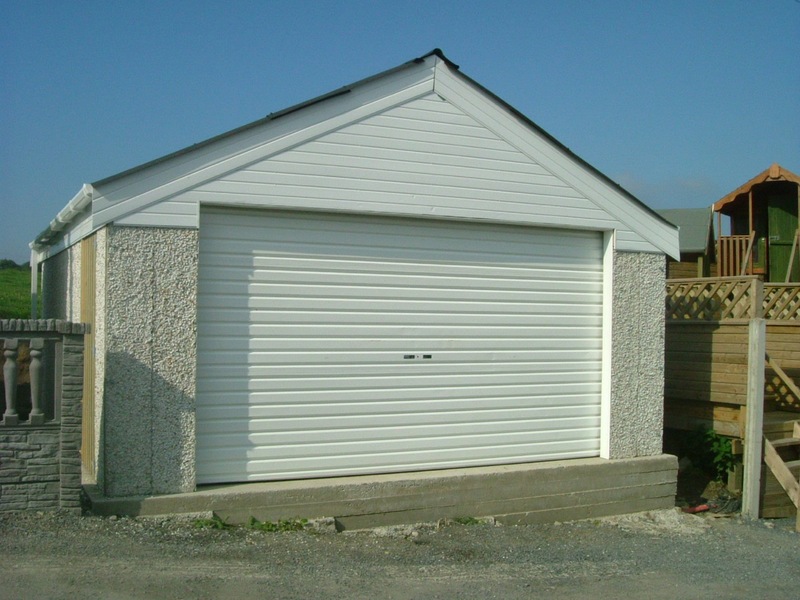 Both the gable ends and the external wall plates of our pre-cast concrete buildings are finished in durable, weatherproof PVC soffit cladding. 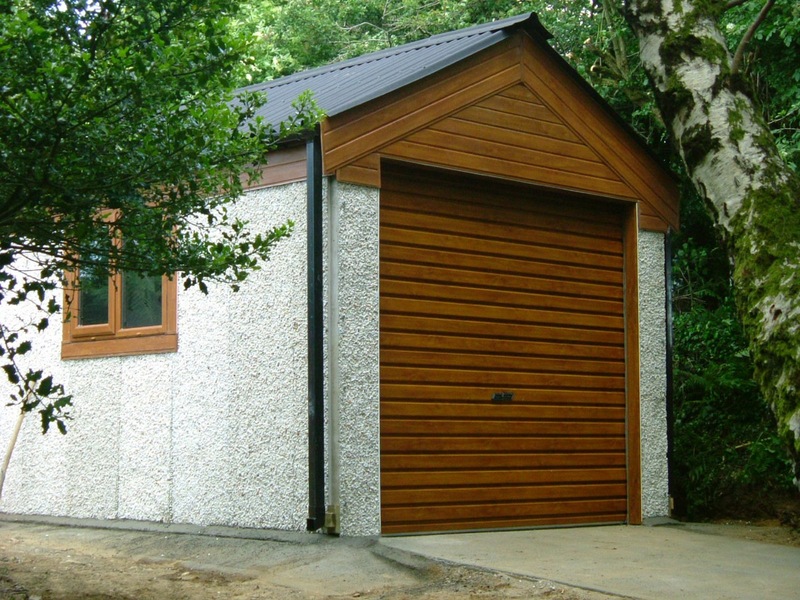 This cladding provides an attractive finish to our buildings while at the same time making the exterior finish totally maintenance free. 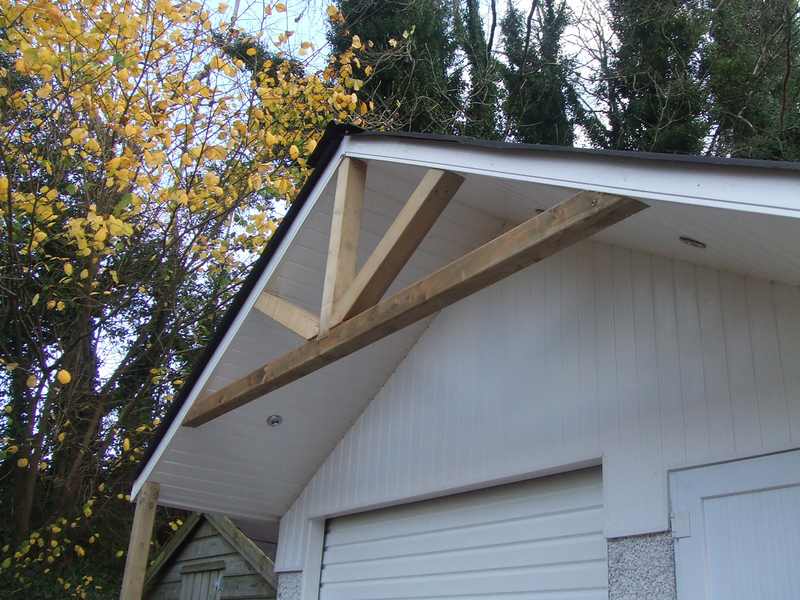 Customers who so desire can opt to have their building gables finished in pressure treated timber, which will be weather resistant for up to 7 years. Gutters and down-pipes are fitted to both sides of all of our concrete buildings as standard. 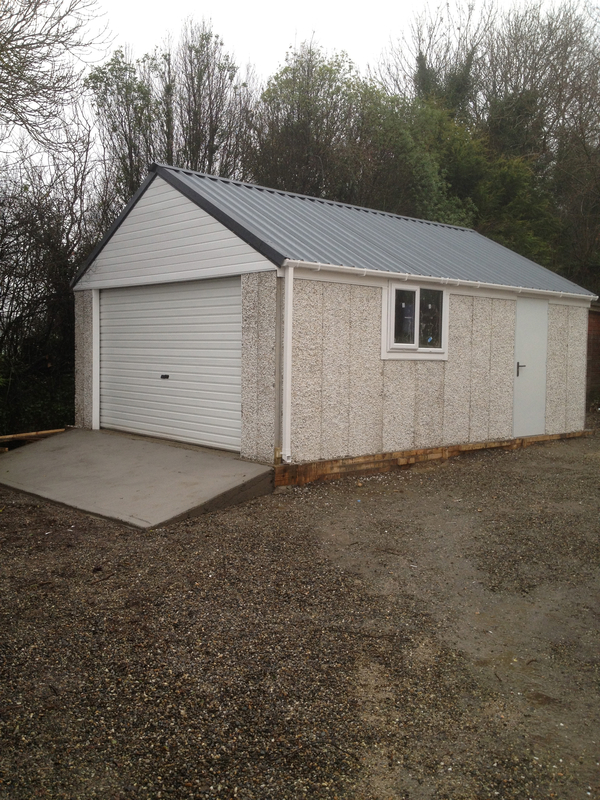 ShedWorld pre-cast buildings are fitted, as standard, with a single entry steel door, located on the gable end of the building. 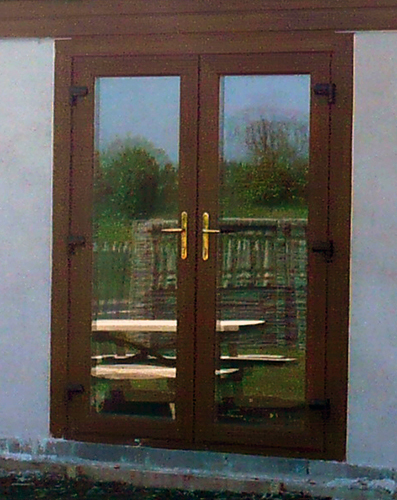 Customers may, if they wish, opt to include a uPVC door instead for added security and asthetic appeal. 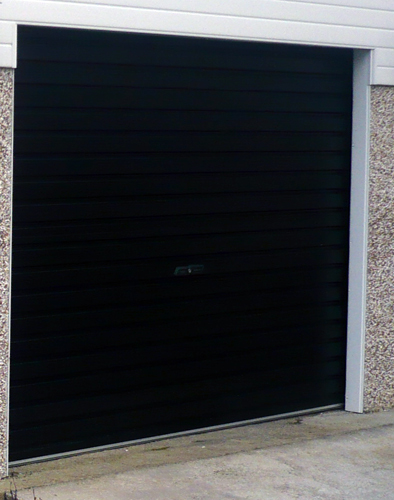 Our uPVC doors are of the highest quality and incorporate a full, four point locking mechanism, identical to the door of a modern house. 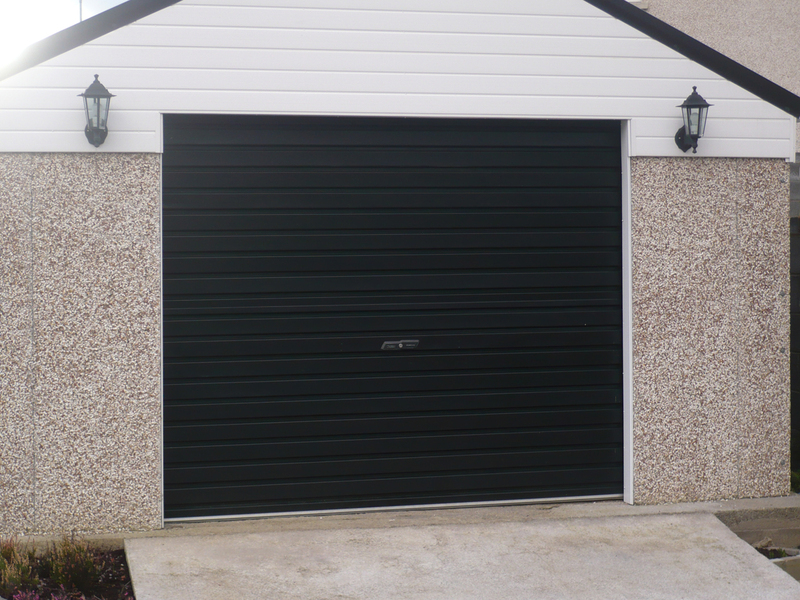 Standard uPVC doors are available in a choice of colours, white, brown or black and include a fully double glazed upper panel to allow light into the building. 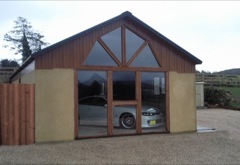 Solid doors, with no glass panels, may be ordered if desired. 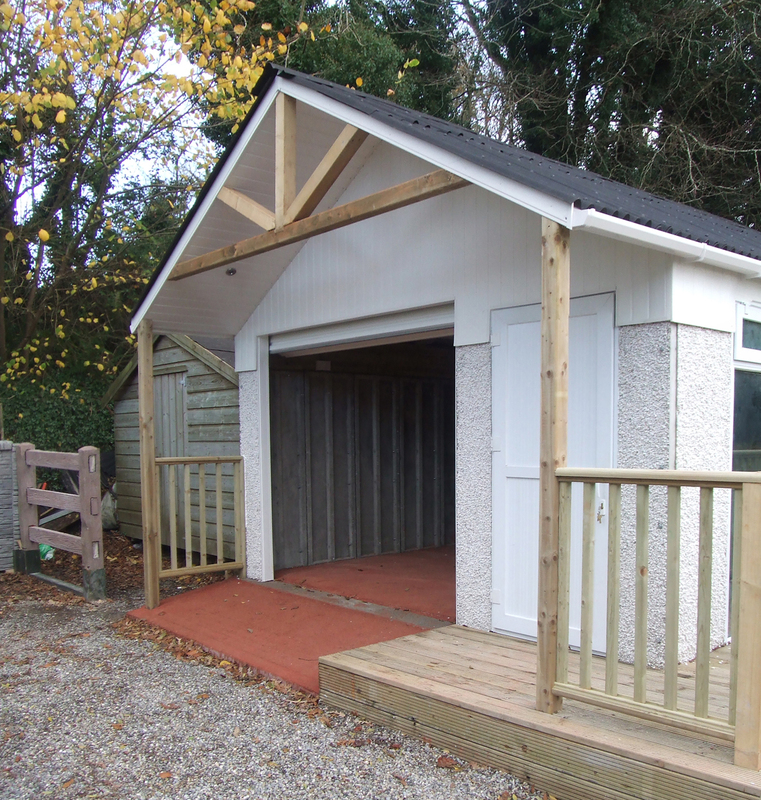 For those who require better access to their building, ShedWorld offer fully double glazed patio style french doors with full glass panels to allow a maximum of light into your building. 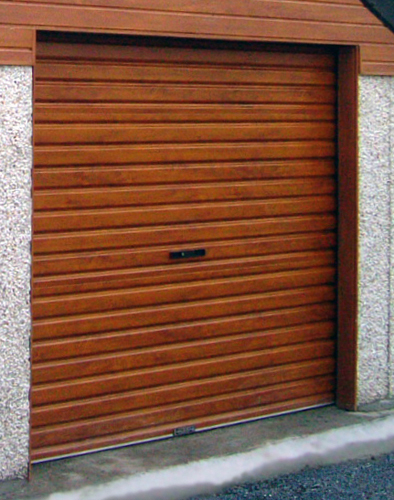 For those who are looking for a full garage entrance, we can offer spring assisted roller doors, available with either 8ft or 12 ft openings (approx) and in our full range of colours, white, brown or black. 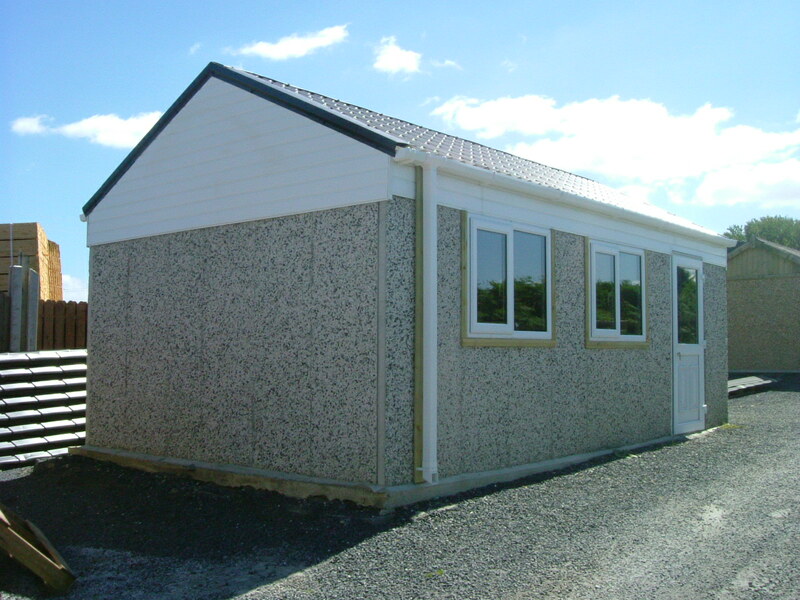 All ShedWorld Pre-Cast Concrete Buildings require a solid concrete base on which to be erected. 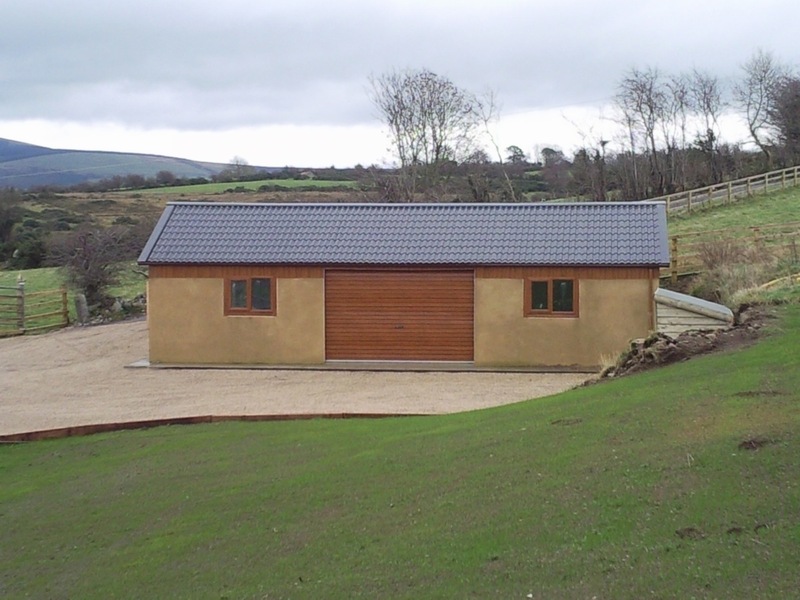 This base both supports the weight of the building and its contents and provides a stable floor within the building itself. ShedWorld normally requires that the site for any pre-cast building be clear, flat and level prior to our arrival, with all obstacles removed (eg, tree stumps, bushes, large stones, mounds or depressions in the ground). 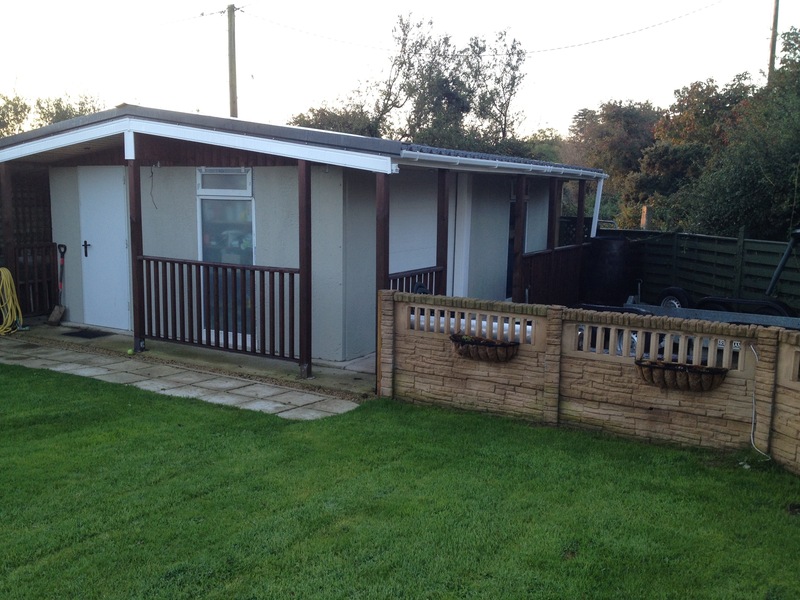 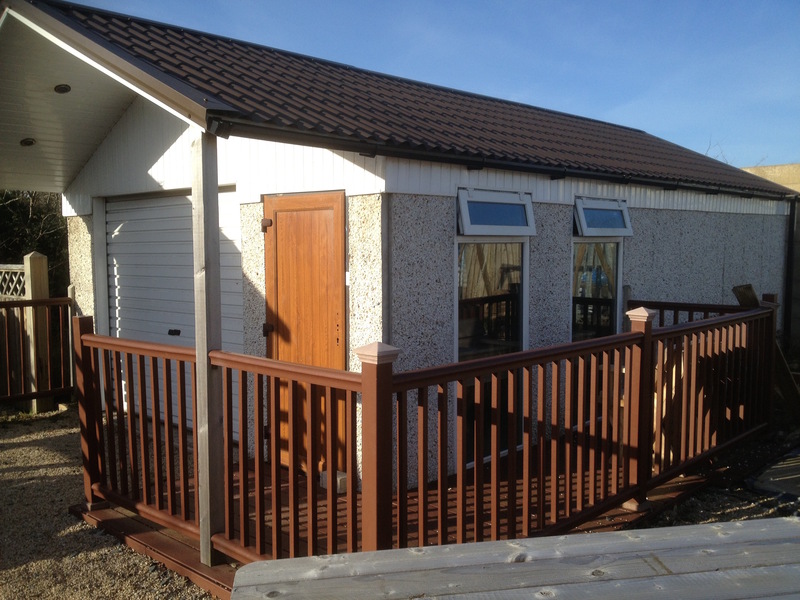 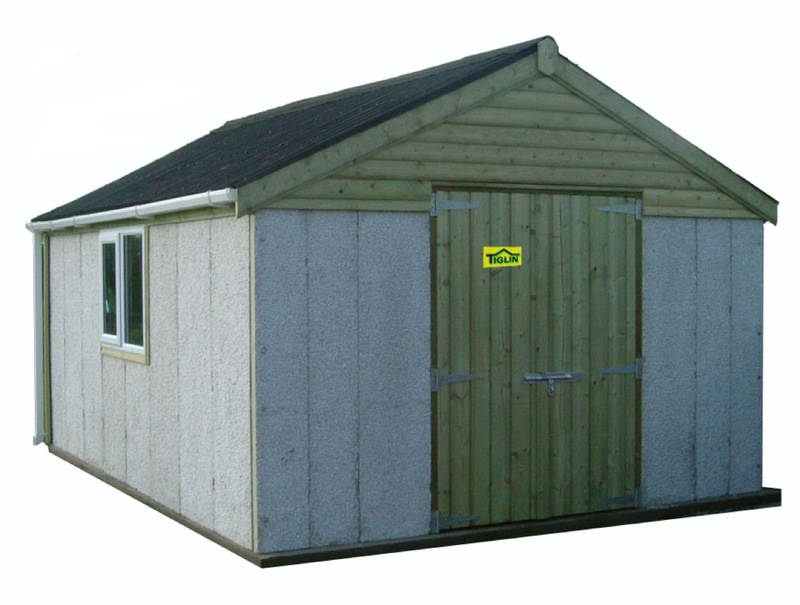 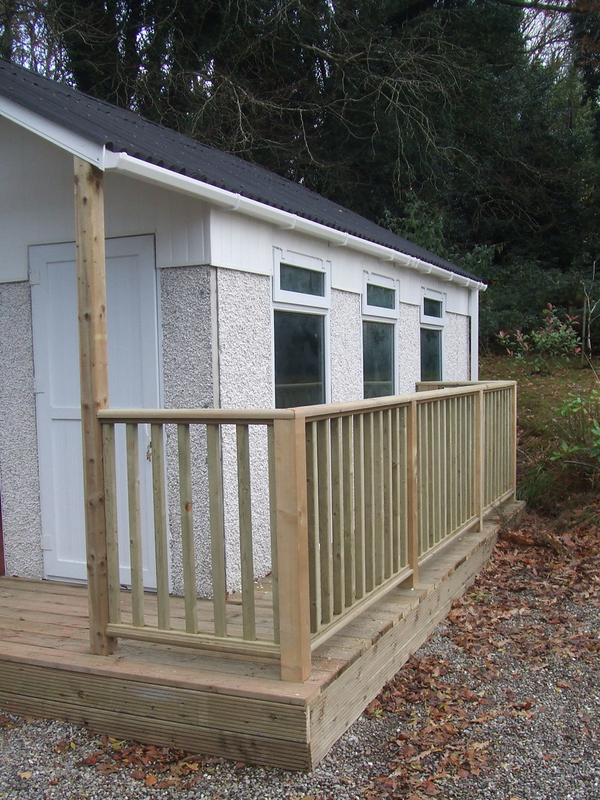 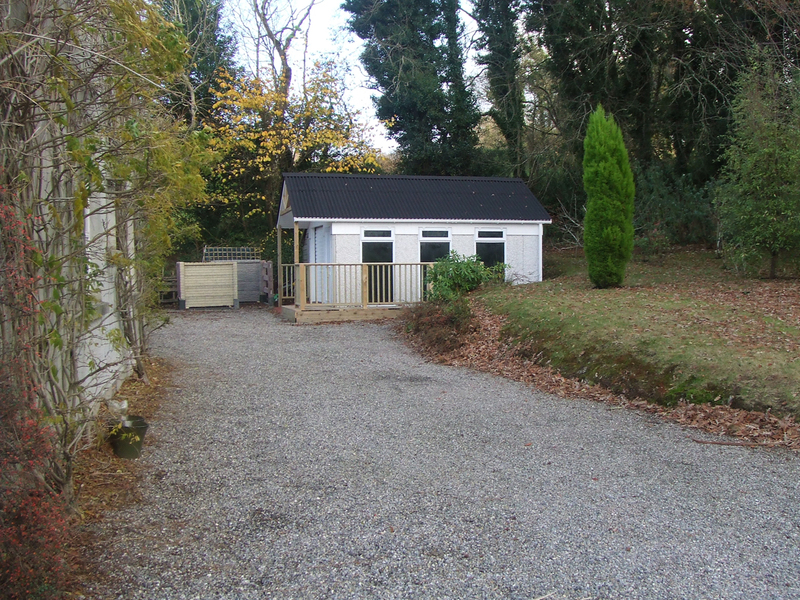 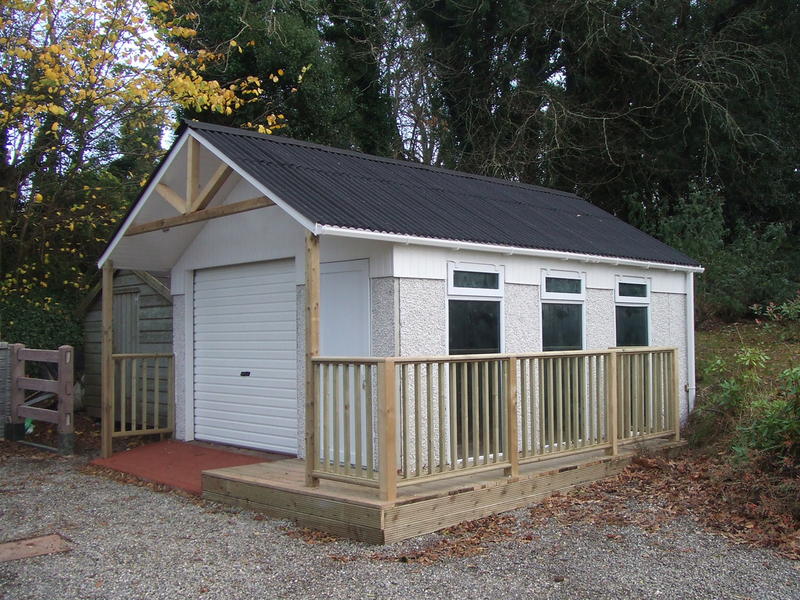 Unless otherwise stated, prices for ShedWorld buildings do not include any site preparation work. 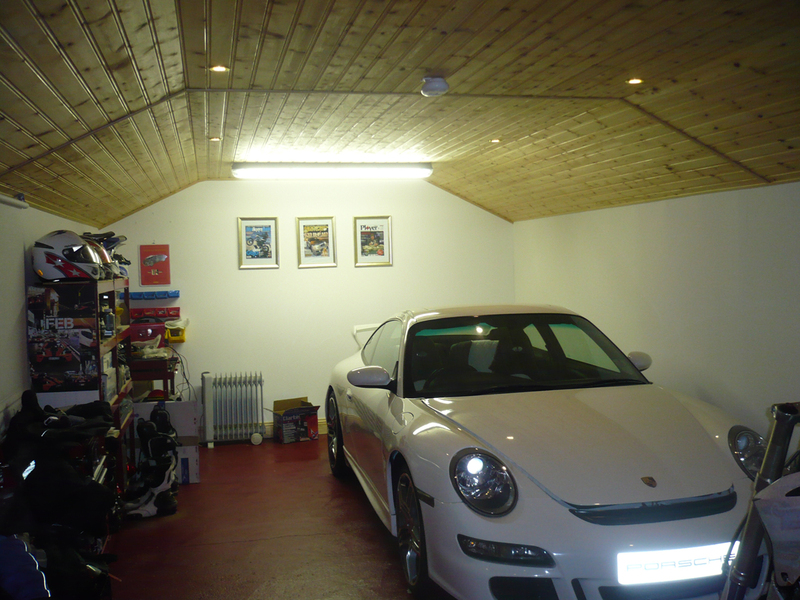 Such work, if needed, will incur a surcharge to offset any additional labour costs. 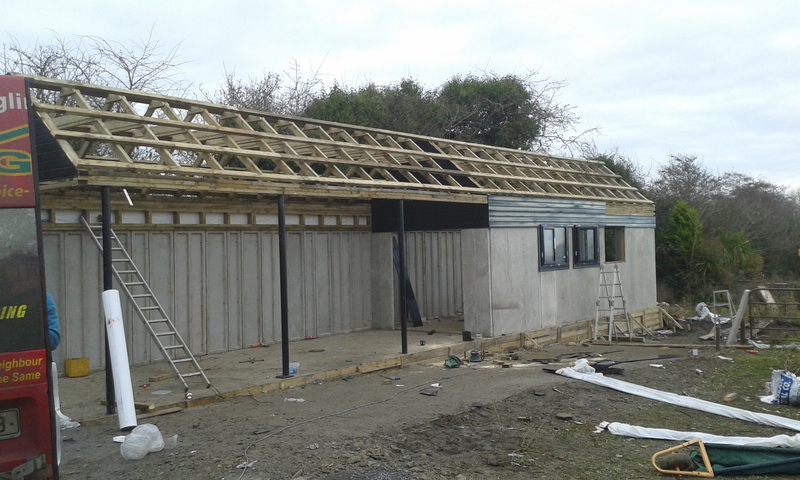 Once the site has been chosen, the perimeter of the base is marked out and a temporary, disposable timber screed is erected to help shape the base. 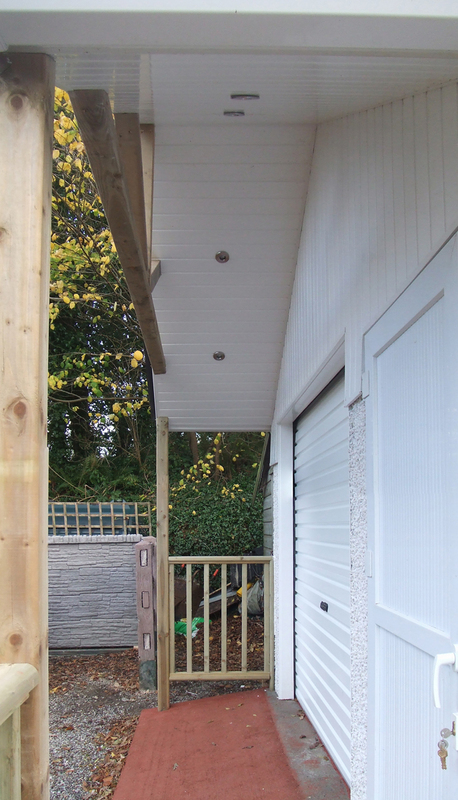 Within the timber screed, a layer of 1000 gauge polythene is laid as an aid to preventing rising dampness within the concrete. 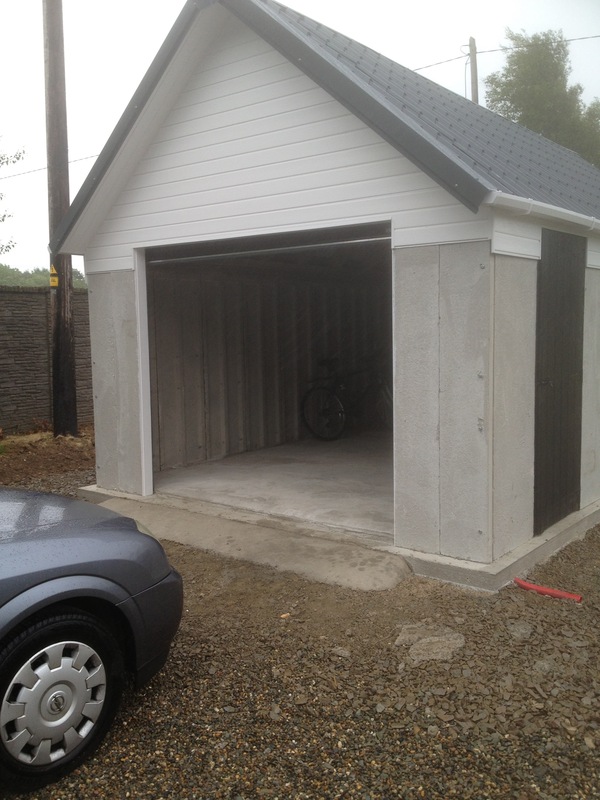 100mm (4inches) of 25N concrete is poured incrimentally so as to ensure no air pockets remain trapped within the base. 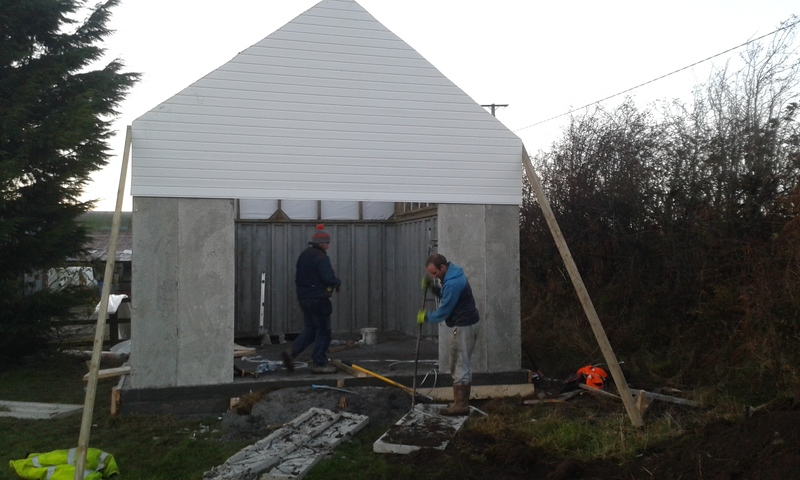 This concrete is then skim-levelled on top where the walls will stand. 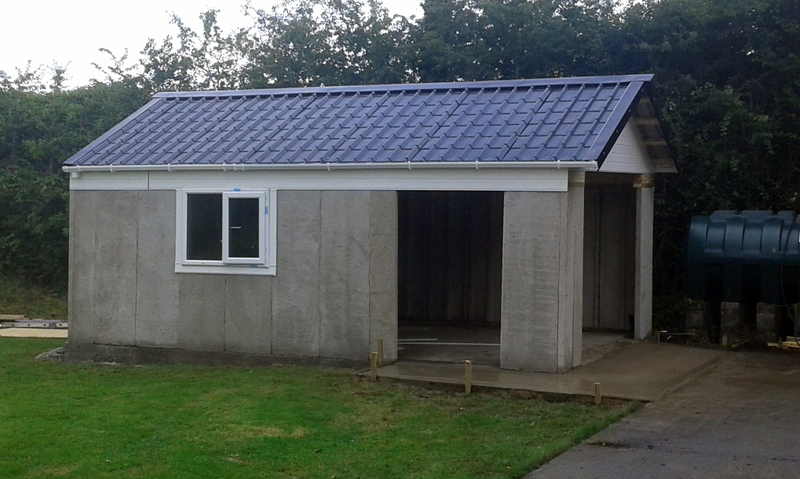 Once the base has been poured, it is left to set for a period of up to one full day, depending on the prevailing conditions, before building work commences again. 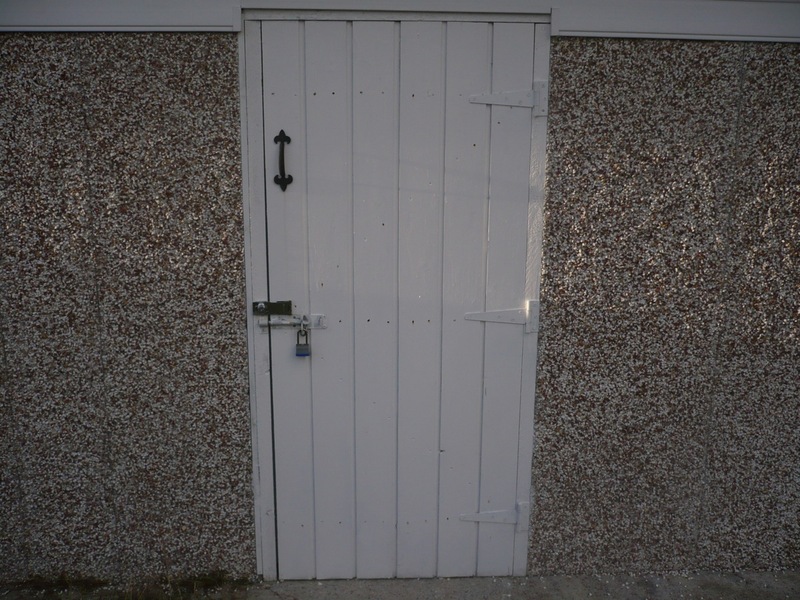 Once the base has been poured, it is left to set for a period time, depending on the prevailing conditions, before building work commences again. 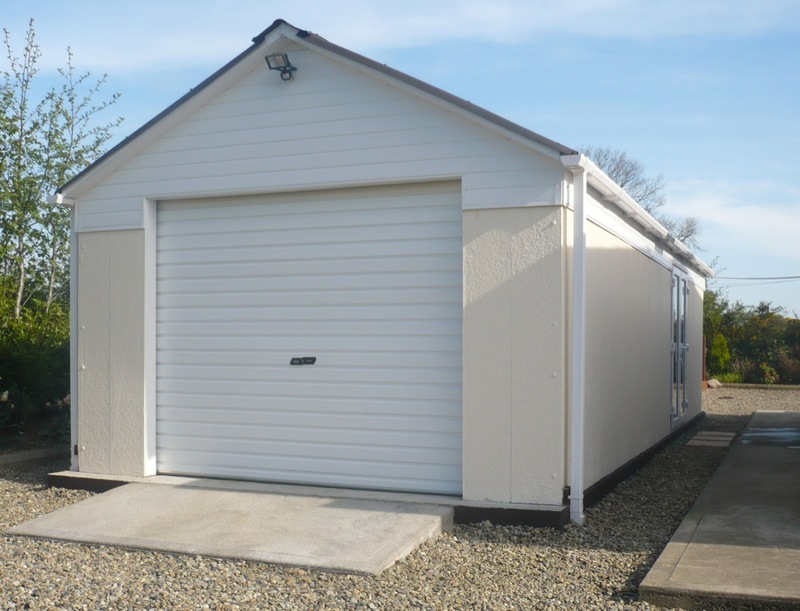 Ideally, ShedWorld would prefer to supply the base for any of our pre-cast buildings as we are more familiar with the process and the tolerances that are involved in erecting our buildings, however, customers can, if they wish, opt to provide their own base. 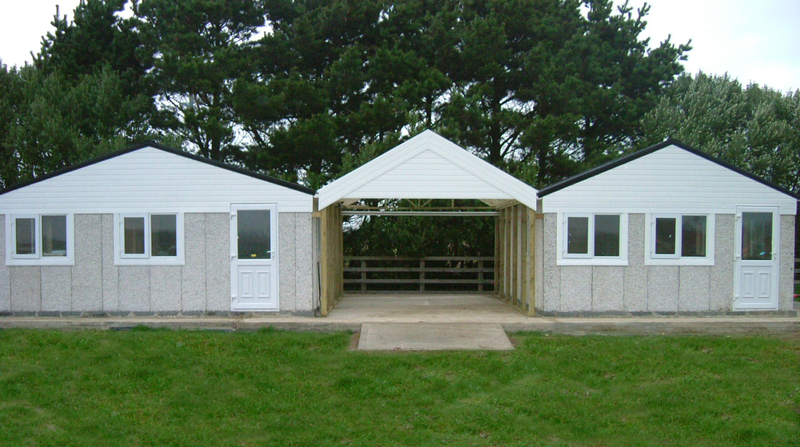 In that event, customers should be aware of the following guidelines, which apply to all buildings, regardless of size. 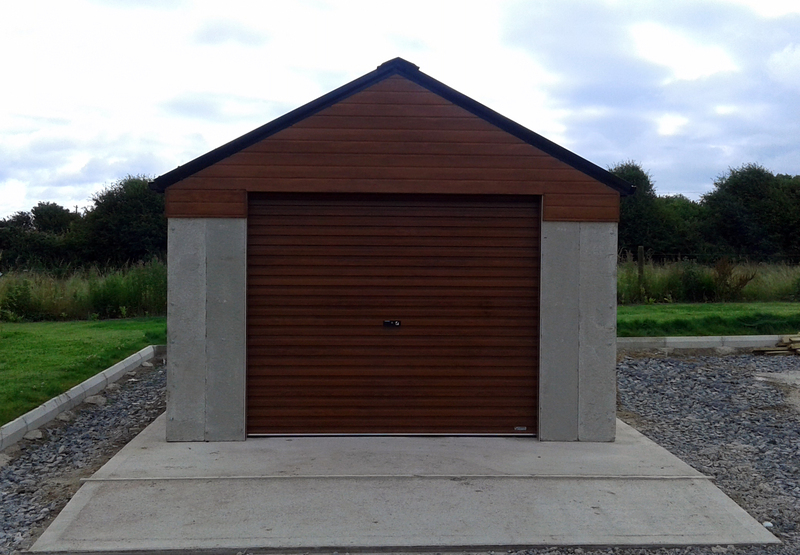 The base must be one solid slab or raft of concrete, which is no less than 100mm (4 inches) thick at its thinnest point. 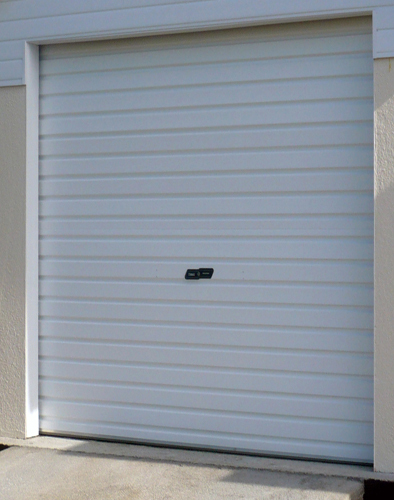 This must take into account any irregularity or slope on the ground underneath the base, as shown in the diagram below. 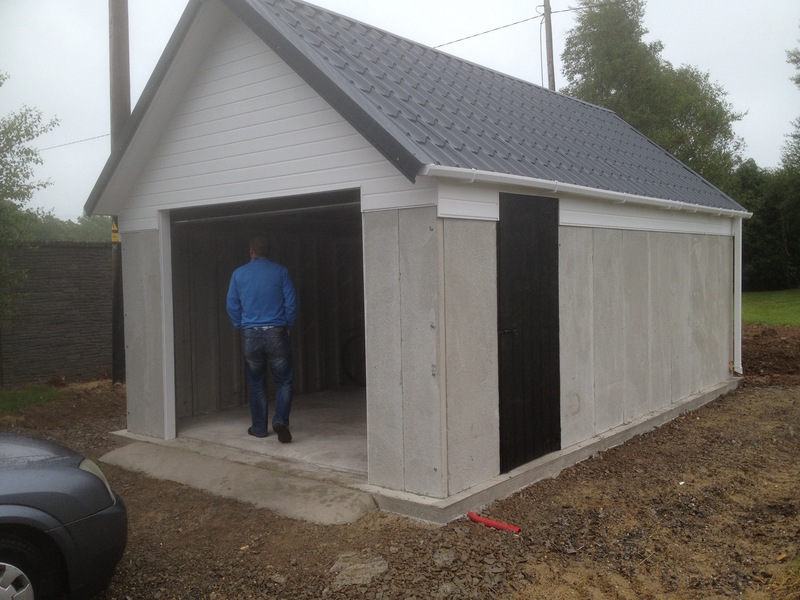 The overall area for tbe base must be at least 300mm (1 foot) longer and 300mm (1 foot) wider than the final building will be. 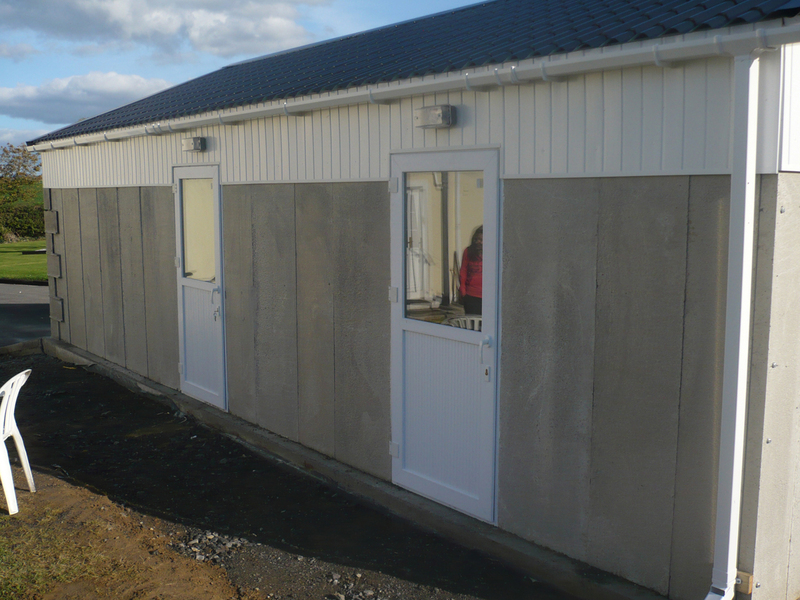 This is to accomodate positioning of the concrete panels on the base and to ensure the necessary clearance for construction. 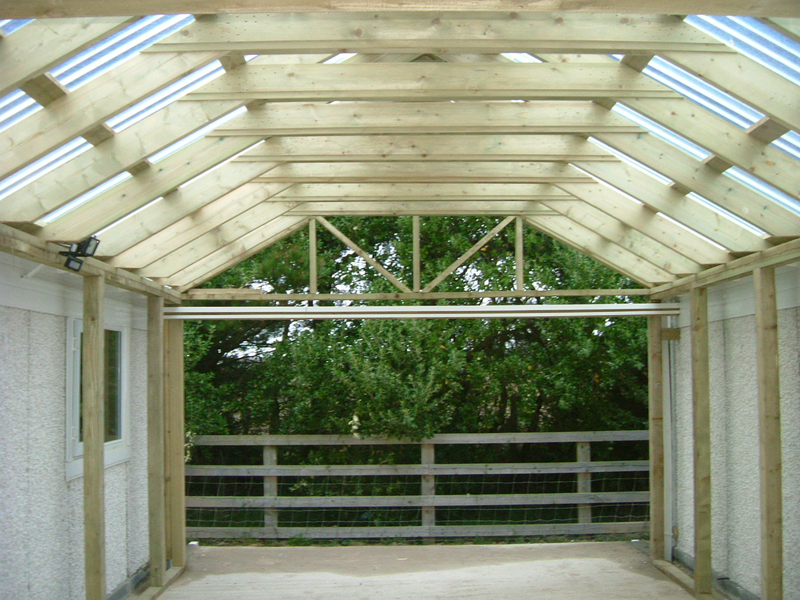 The base must be of sufficient strength to support the building. 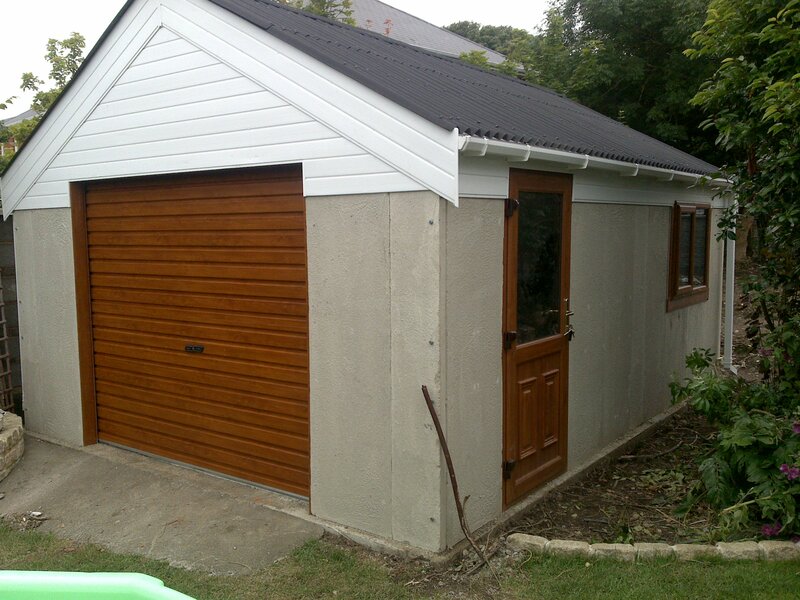 ShedWorld uses 25N concrete in all our bases and we require that customers at least match this level. 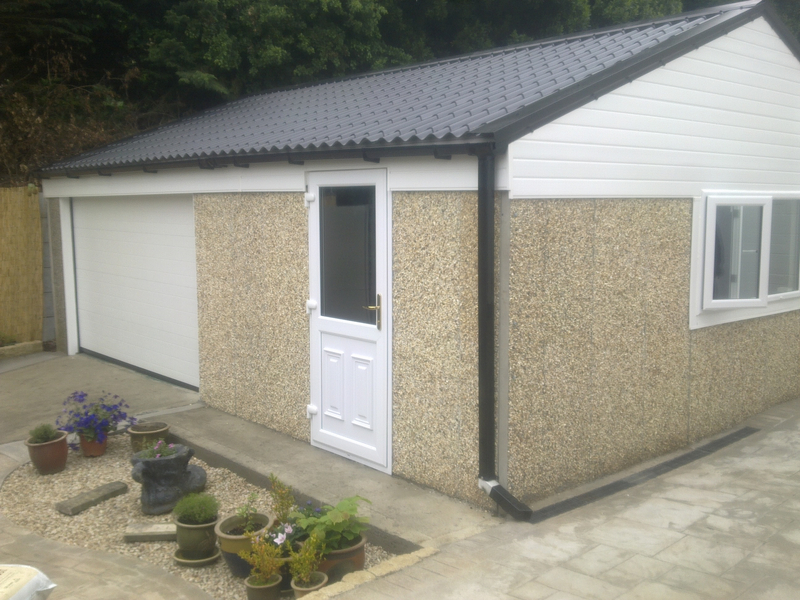 Note, all warranties will be void in the event of subsidence of a customer supplied base. 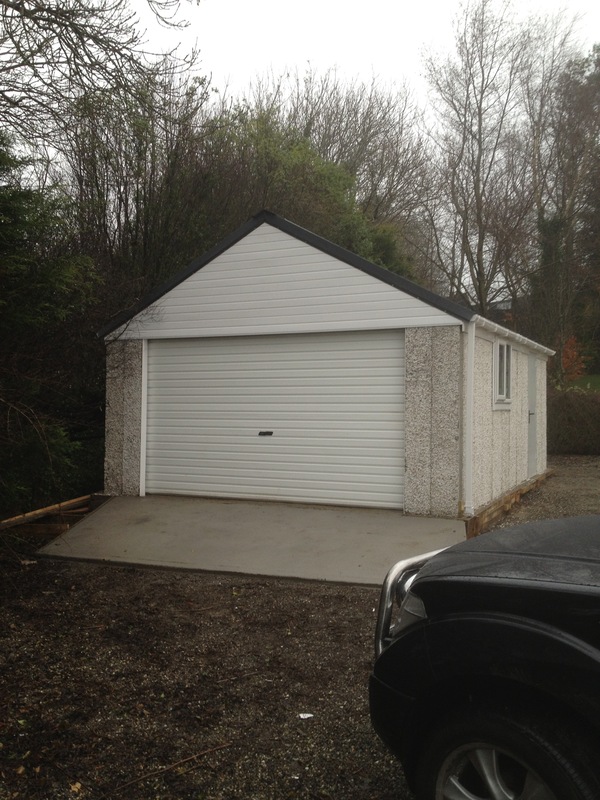 The base must be perfectly flat and level on top. 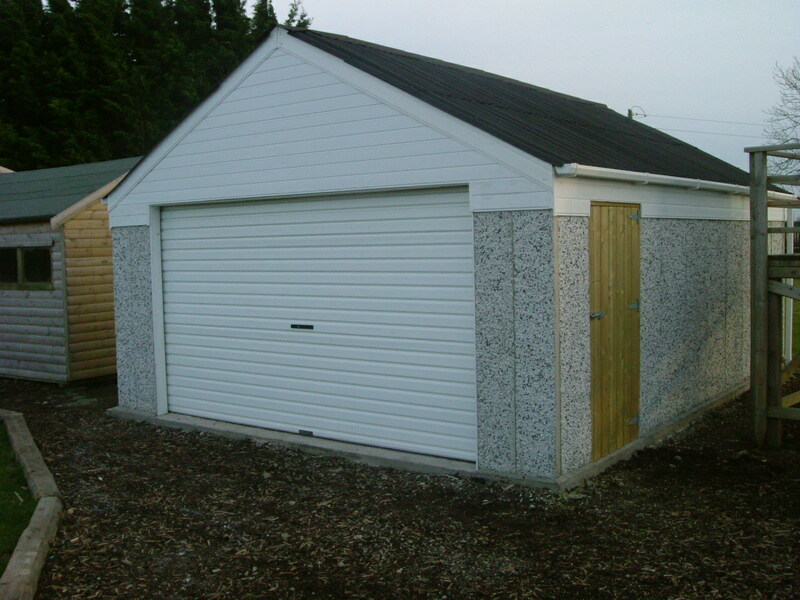 Our concrete panels come with pre-drilled bolt holes, by which they are fastened together. 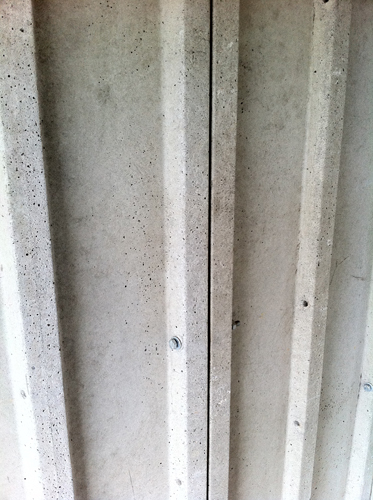 Irregularities or slopes in the base will mean that these bolt holes will not line up correctly, possibly preventing construction. 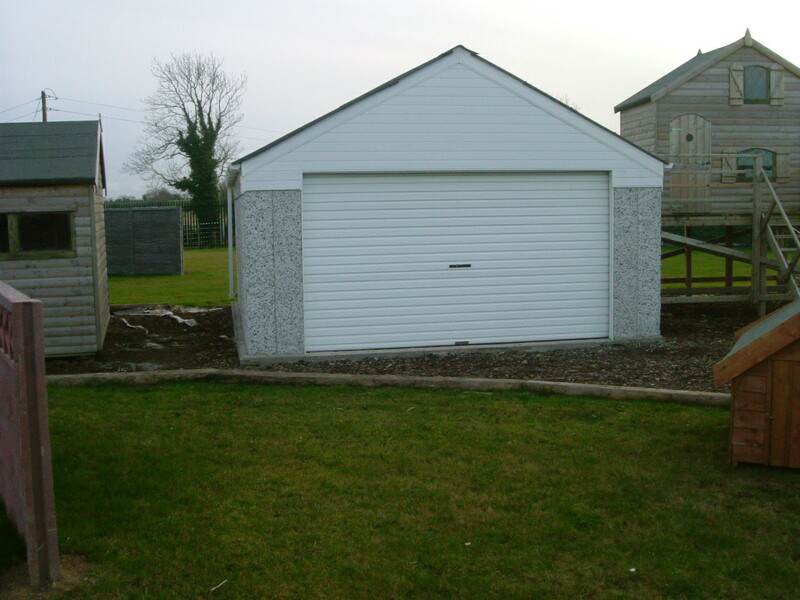 Reinforcement, such as steel mesh, within the concrete base is not always required, but can be added if desired. 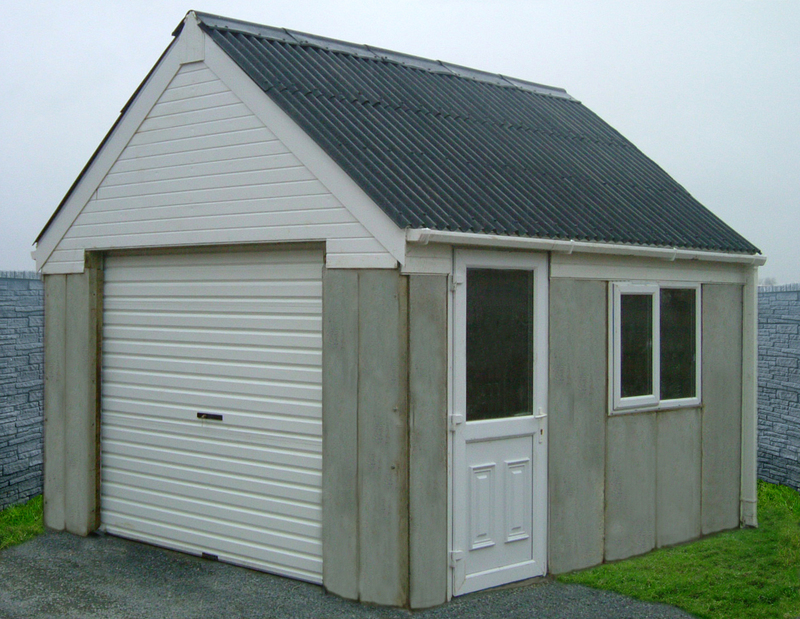 For larger buildings, or buidings in which heavy machinery will operate, ShedWorld reccommends that customers include steel mesh reinforcement to aid in the stability of the building over time. 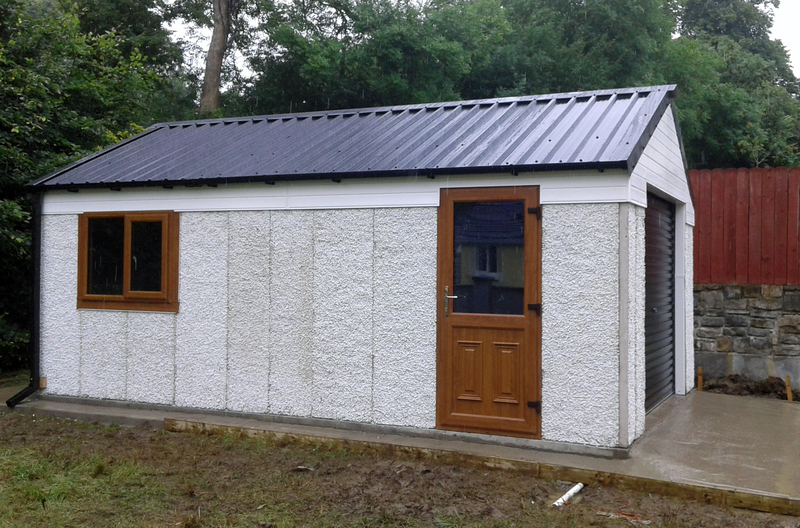 Note: in the event that a customer elects to provide their own base, they should also make provision for pouring the second floor inside the building as above or, if desired, ShedWorld will install the second floor only within the building for an additional fee. 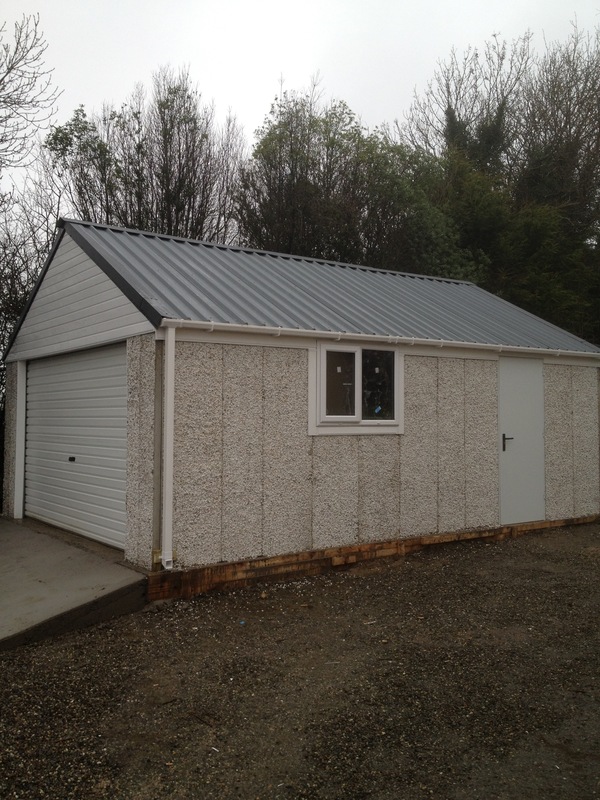 * Note that all ShedWorld pre-cast shed panels are dashed as they are cast in batches. 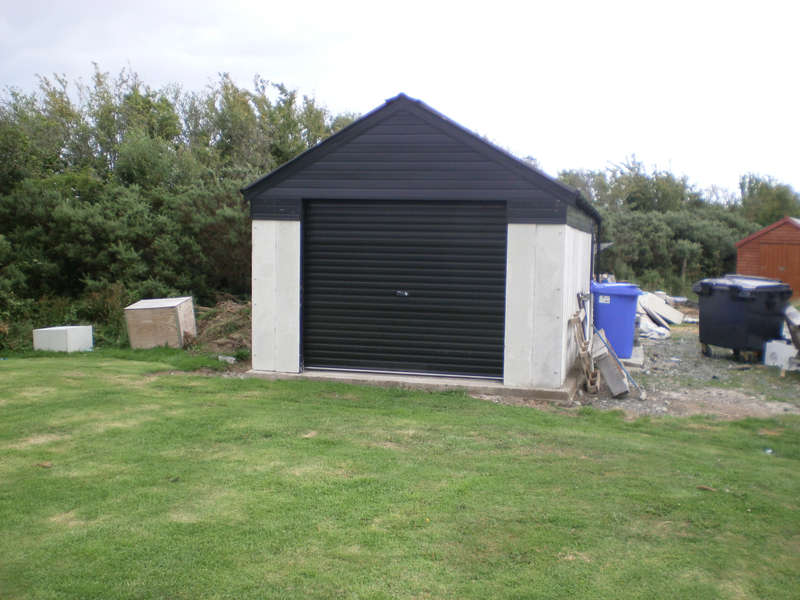 It is not always possible to ensure that the colour of the dashing will remain consistent from batch to batch. 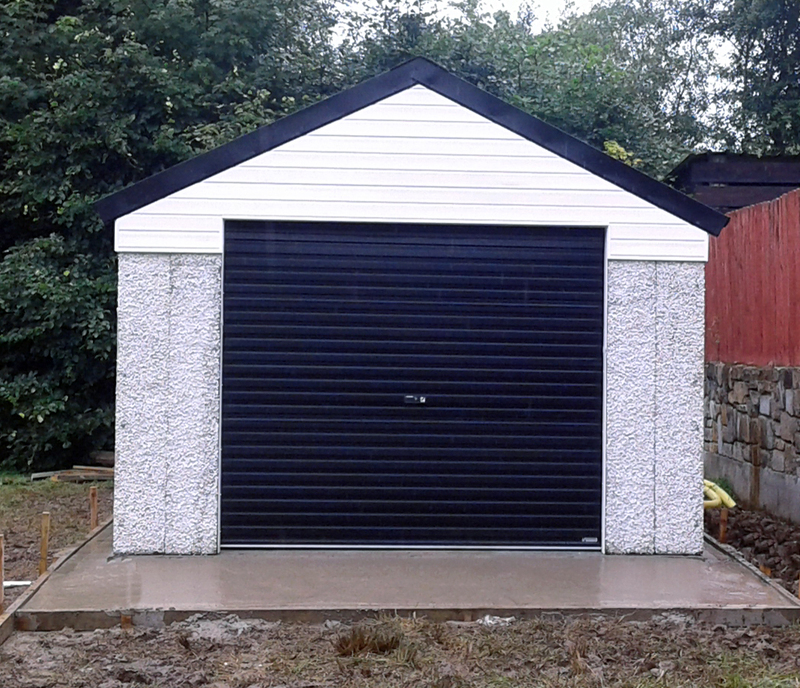 As such, though ShedWorld will make every effort to ensure that panels erected next to one another are colour matched as closely as possible, variations in colour may occur. 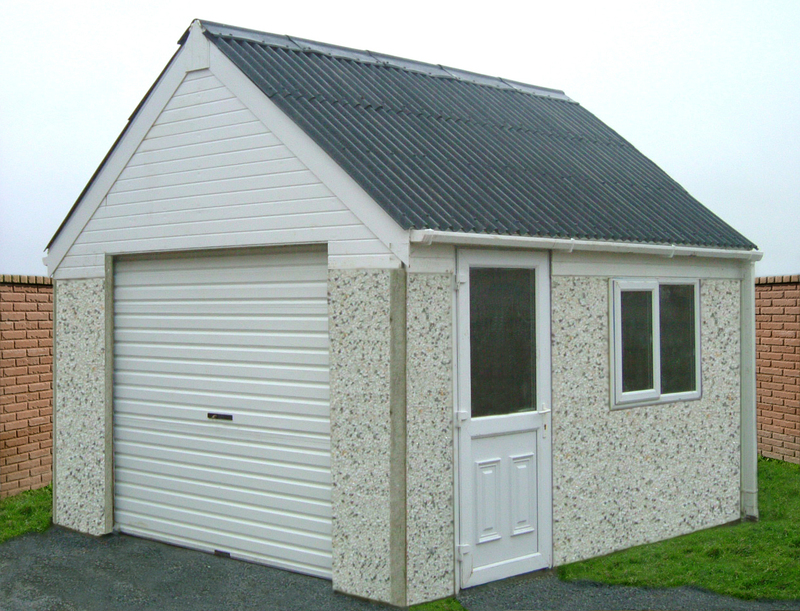 ** Due to the nature of the manufacture of our pre-cast panels, there can be a variance of up to 10mm in the overall thickness of the the panels when cast. 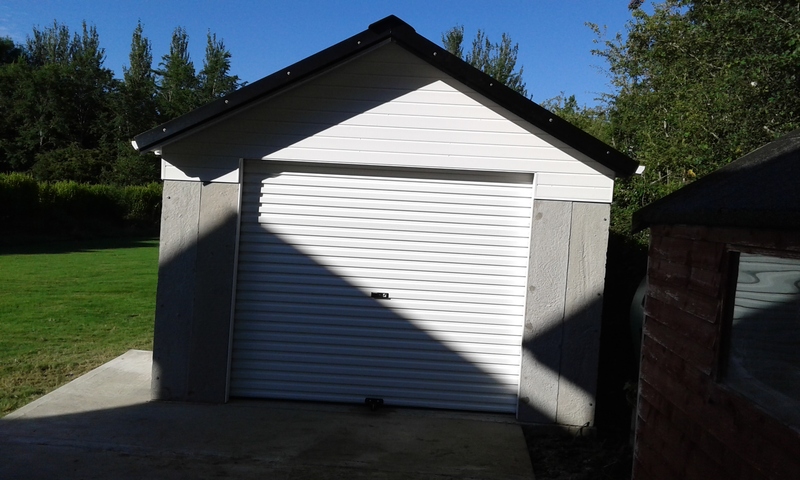 During installation, the panels are located in place via bolt holes at pre-determined locations, this can lead to a difference in the finished level of the outer face of the panels. 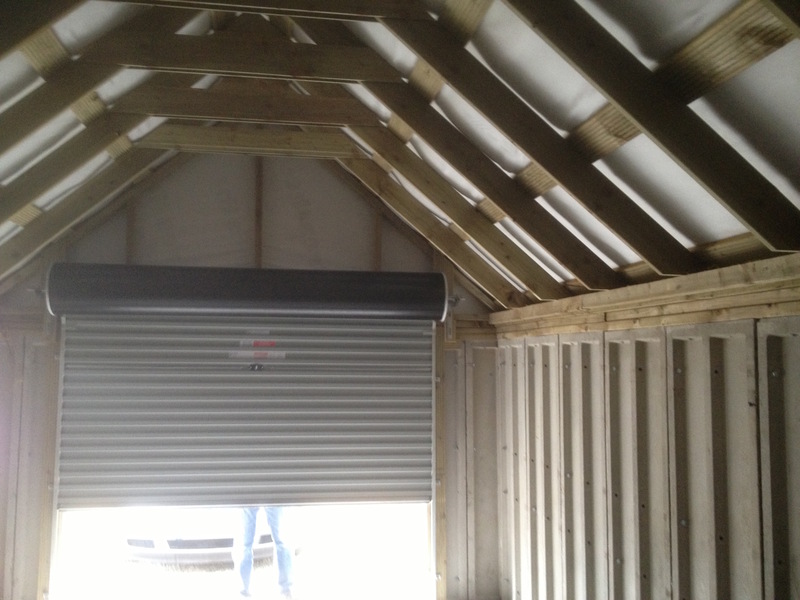 This is an unavoidable side effect of our fabrication process and has no effect on the building other than from an asthetic point of view.